The Center for Rural Engagement helps connect partners in the state to IU resources that can help them take on the challenges and opportunities facing their communities. From faculty-led, class-based projects to large-scale multidisciplinary research teams, from student entrepreneurs to student volunteers, and from cross-sector leadership development to comprehensive strategic planning, the center mobilizes the resources, expertise, and energy on the IU campus to create new options and solutions for our neighboring counties. After several years of intensive planning and community discussions, the Battelle report, "Strategic Plan for Economic and Community Prosperity in Southwest Central Indiana," was released in 2014. This plan, funded by Lilly Endowment Inc. and developed in partnership with county leaders and stakeholders, laid out a strategy for renewal and revitalization of the 11-county Southwest Central Indiana region. Based on the report's recommendations, the Endowment generously funded a planning grant for IU's Center for Rural Engagement and invested heavily in initiatives that have become critical and complementary partners to the Center's efforts: Regional Opportunities Initiatives and Applied Research Institute. Professor John Keesler from the School of Social Work is examining community perceptions of addiction—and mental health issues related to addictions—and is developing recommendations for next steps. 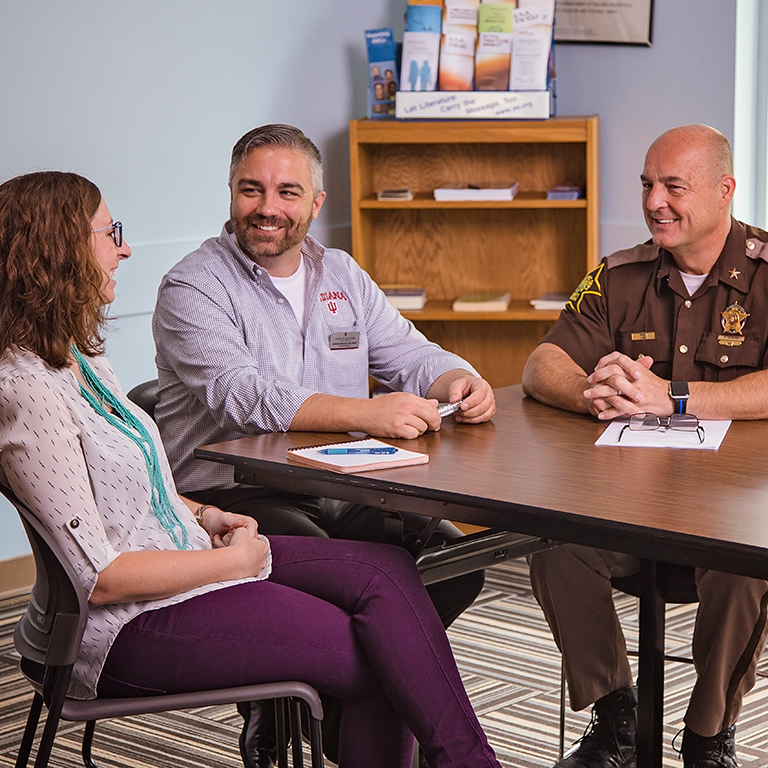 The project began as a partnership with the Lawrence County Sheriff and is a follow-up to center’s work there last year as part of the IU Center for Rural Engagement’s Sustaining Hoosier Communities program. This initiative has now expanded to include other Indiana counties in collaboration with the Indiana Rural Health Association through a federal Health Resources and Services Administration planning project. Offer your time, research, or resources to rural communities and small towns in Indiana.